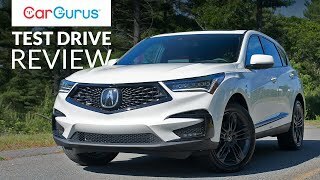 Edmunds Senior Road Test Engineer Jason Kavanagh drives the all-new 2019 Acura RDX, one of the most popular premium compact crossover SUVs. 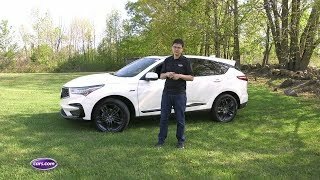 In this video, we go over the changes ushered in by the new RDX, including the different packages available, its engine and transmission, cargo area and cabin space. 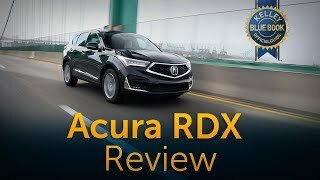 Plus, we introduce you to the clean-sheet infotainment interface that Acura is debuting in the RDX. 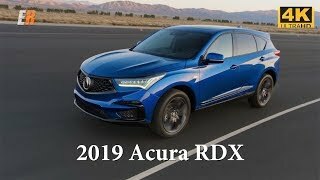 Q: What's new about the 2019 Acura RDX? A: Everything. 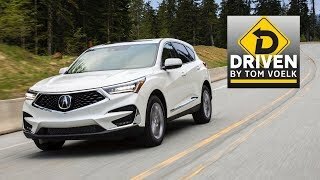 The RDX is built on a new platform, and it has a different engine and transmission, Acura's next-generation Super Handling All-Wheel Drive system and a completely re-thought infotainment interface. 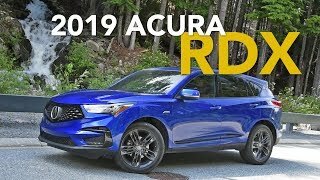 Q: Are the 2019 Acura RDX's engine and transmission any good? A: Based on our drive, yes. 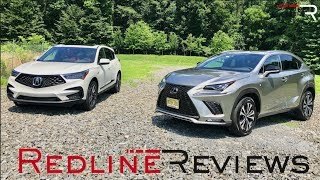 The new engine is a turbocharged four-cylinder that delivers much more grunt off the line than the old V6, and the 10-speed automatic transmission is pretty decisive. 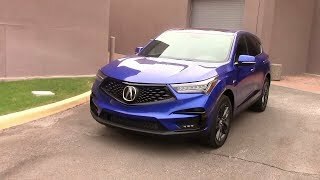 Q: What's with the new infotainment interface in the 2019 Acura RDX? A: Called True Touchpad Interface (TTI), it uses a touchpad at the base of the center stack to control selections on the screen. It offers the benefits of a touchscreen without all of the drawbacks of one. 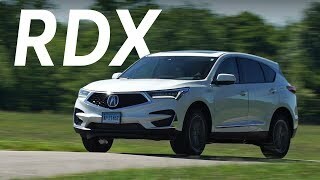 Q: Can I get a 2019 Acura RDX with all-wheel drive? 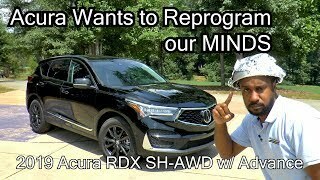 A: Acura's next-generation, torque-vectoring all-wheel drive is optional on all RDXs. Changes to this fourth-generation system include the ability to handle more torque and quicker response times. 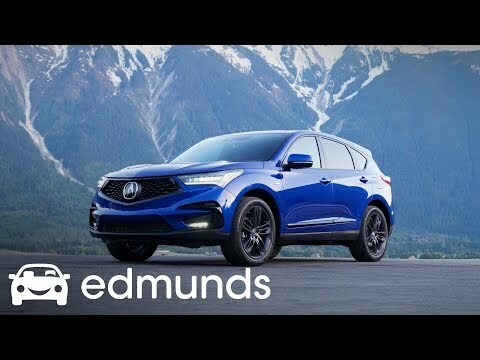 Edmunds – we help you find your perfect car with unbiased and useful reviews, advice, pricing and tools. Visit us at www.edmunds.com/. There is no spare tire included in the A-Spec! According to Acura, its for “performance” purposes. People need to know as I had to request one from my dealer to include in my deal when purchasing. Why aren’t reviewers talking about this? Is there a compartment in the aspec to store the spare tire ? They charge you more for the spare ? This has the same engine that my Accord Sport has, just has 20 more hp. I love to 2L turbo. It is a very responsive engine. 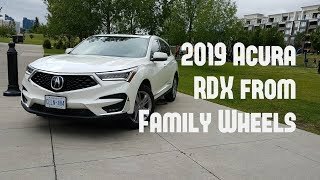 My wife purchased the 2019 RDX A-spec a couple of days ago after test driving the Infinity Qx50 and BMW X3, and to say it's a powerful sport SUV is an understatement. It's a badass vehicle. Was a little skeptical at first about turbo charged 4 cylinder, but after putting it on the interstate, all the skepticism went away. It's a rocket especially in the sport+ mode! The handling is amazing! Sound system is crisp and loud. Comfort surrounds you in this beautiful beast with no feel of being cramped. As the test driver did note, it does take getting used to the touchpad but other than that, it's money well spent. 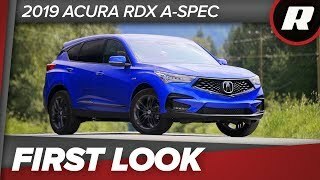 Hell, I'm going to purchase the TLX A-spec. Just a minor correction: A-Spec does not come with a spare. Just a fix kit. All other trims do come with a spare underneath the car. This is the best looking car in its class! 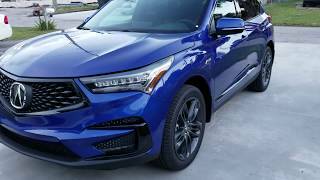 They really did an excellent job on new RDX, and now I am still looking forward for the new MDX with a twin turbos engine and new interior design. Shopping around for one. Look forward to this. 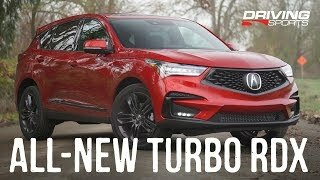 acura stepping up. i like it. Looks great in this blue color. I don’t care much for the interior though. The car itself looks good now, but I don’t think these busy designs will age well. Sounds like a lot of road noise. 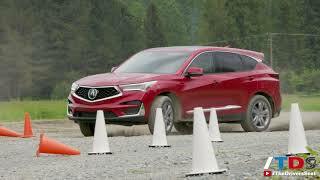 I really like how Acura and Lexus have all the safety tech standard. The Germans make it so difficult and expensive. I can’t imagine spending $50,000+ on a car and not having comprehensive safety tech. uhhh 2019 is already out and it looks nothing like this.. Interested to see what type s line is going to be like. Got mine on June 22. 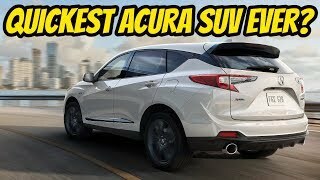 Great SUV, fun to drive, white ASpec on red leather. Will be great to drive to Florida! 20 in tires a bit on the stiff side but acceptable. 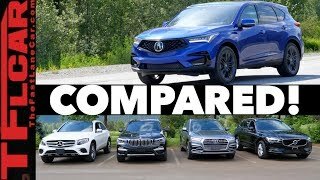 DETAILS | 2019 Acura RDX & A-SPEC - Fastest Acura SUV ever?